Motorcycle accidents typically involve serious injuries due to the nature of a biker riding in the open versus a passenger in an enclosed vehicle. Motorcycle accidents and car door accidents take many different forms, from a motorcycle colliding with a heavy steel car door to a driver opening their door in the path of an oncoming cycle. Daytona Beach, FL attorney Joe Horrox handles all types of personal injury cases, including car and truck accidents, and wrecks that happen when driving or riding on a motorcycle. In auto accidents that involve car doors and motorcycles both parties can be seriously hurt, but the party that caused the injury is the one held liable for repayment of damages. What Causes Motorcycle Accidents Involving Car Doors? 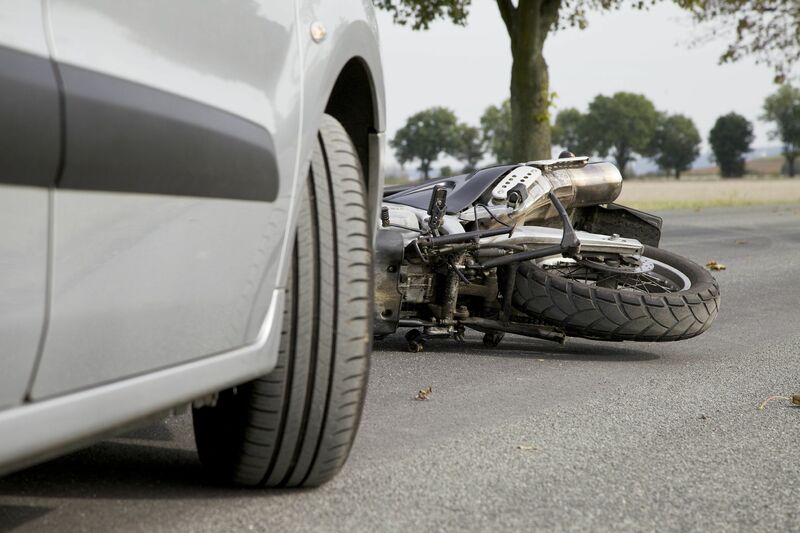 In many motorcycle accident cases, the cause of the accident was not the biker. Many factors contribute to the causes of motorcycle accidents, with the most common cause being passenger car drivers simply failing to see motorcycles on the road. Motorcycles are smaller than even the smallest of passenger vehicles, and a motorcycle is typically not as loud as a car or truck. These factors make it more difficult for drivers to spot motorcycles and can lead to auto accidents. Failing to spot an oncoming biker has caused drivers to open their car doors into a motorcycle, throwing the driver from the bike and causing serious bodily injury. When you add the quick action of opening a car door to the speed of the bike, the biker has little to no time to react, and the results can be catastrophic. Be on the Lookout: When riding a motorcycle in an area where numerous cars are parked, always be on the lookout for possible entering and exiting of vehicles. Look for Debris: Take stock of the area, and avoid driving down busy roads where pedestrians gather and consume products. Avoid Illegally Parked Cars: Cars that are parked illegally may have drivers that need to make a fast exit. During the rush to get out of an illegal spot, a driver may not be as attentive as normal, and may open a door into an oncoming cycle. The injuries that can result from being hit by an opening car door while riding a motorcycle range from neck and head injuries, to broken bones, to internal organ damage. Because bikers do not have the benefit of being encased in a steel cage, injuries are often serious. The care required to treat a motorcycle injury can be long-term and expensive, the cost of which should be covered by the responsible party. If you have been in a motorcycle accident, personal injury attorney Joe Horrox knows where to turn to get you the compensation you deserve. When you call Joe Horrox for help with your personal injury claim, every available source of reimbursement is examined and pursued. For more information, contact us online or call us at (386) 258-2121.